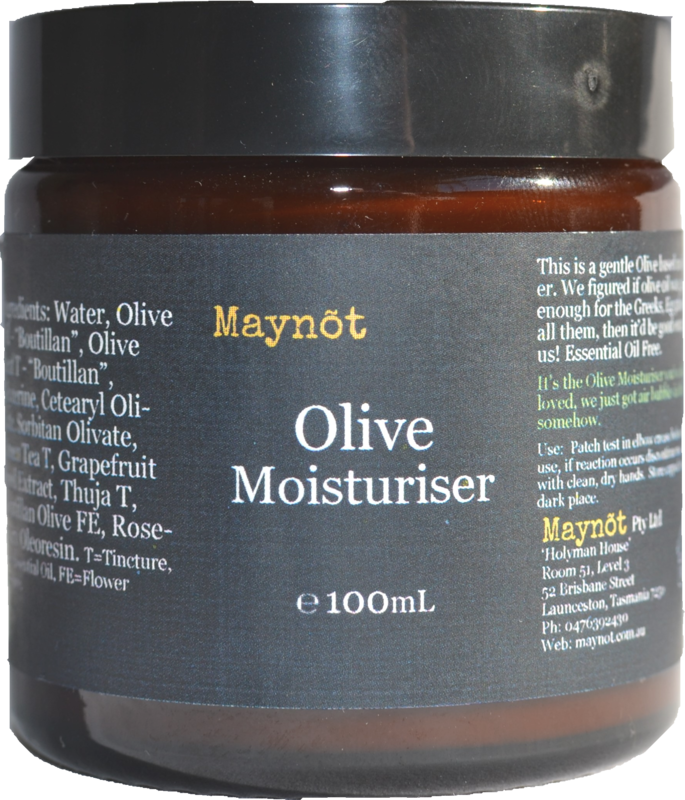 Use: A gentle & light moisturiser for most skin types. Essential Oil free. Use within 3-6 months. Open with clean dry hands. Store capped in a cool, dark place. 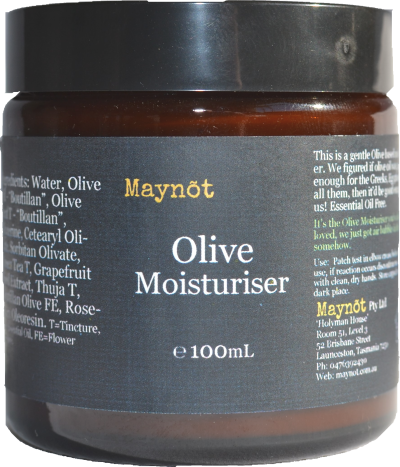 Ingredients: Tasmanian Spring Water, First Cold Pressed 100% Extra Virgin “Wattle Hill” -‘Boutillan’ Olive Oil, “Wattle Hill”-‘Boutillan’ Olive Leaf, Olive Oil based Emulsifying Wax,Vegetable based Glycerine, Grapefruit Seed Extract, Green Tea, Rosemary Oleoresin, Olive Flower Essence.